Joel Edgerton thinks there was ”extra critical hate” towards his Netflix movie ‘Bright’ because it was on the streaming website. The 43-year-old actor starred as orc Nick Jacoby in the new David Ayer movie alongside Will Smith, but despite receiving a positive reaction from fans, critics slammed the production for its race allegories. 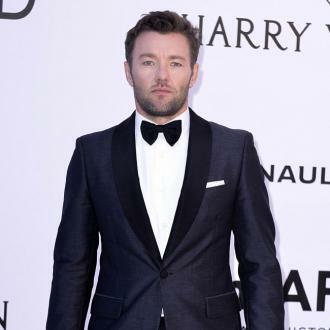 But Edgerton has now defended the film, claiming it should be reviewed by ”public opinion” rather than ”the highbrow prism of film criticism”. Speaking to Collider, Edgerton said: ”All I know is what was reported, which was something like – whatever number was reported – something like 11 million that first weekend. ”There’s a certain age where you can roll over and press play on the remote control. But, according to them, the numbers were there. ”And I think that would be supported by the wild discrepancy between the audience score and the Rotten Tomatoes aggregate score, it’s almost the inverse of ‘Star Wars’. ”You’ve got critics at 93 or 92 per cent, and the audience gave it a 50-something, and you get to ‘Bright’, which is sort of slammed by critics, but it has a 90 per cent audience score. ‘Bright’ takes place in a world where human lives alongside fairytale creatures such as orcs and elves, and rather than showing racism between humans, the movie explores the tensions between people and creatures. Smith stars in the lead role of LAPD officer Scott Ward in the fantasy movie, and recently admitted he found it ”really bizarre” that his character was given the prejudice trait, as it was new territory for him to be on the ”other side” of racism. Despite being slammed by critics, Netflix has revealed a sequel is in the works.